The Southern California based PAPA Repeater System will be reprising its popular special radio event! 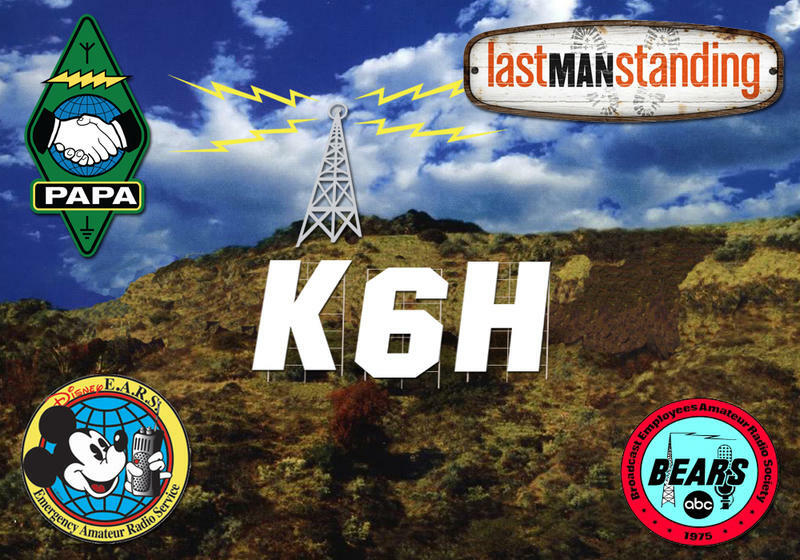 Under the call sign K6H, “Ham Radio Celebrates Hollywood” will be held on Sunday, September 28, 2014 from 7:00 am to 3:00 pm PST and originate from Stage 9 of the CBS Studio Center facility in Studio City, California. Historic Stage 9 is the home of ABC’s hit TV show, “Last Man Standing”, starring Tim Allen. “Seinfeld”, “Spin City”, “According To Jim”, “Cane”, “The Cleaner” and “The Defenders” are among the shows that have been shot on the stage. “Last Man Standing” has just been renewed for its 4th season and a number of the shows licensed radio operators will be on hand to host the PAPA members. 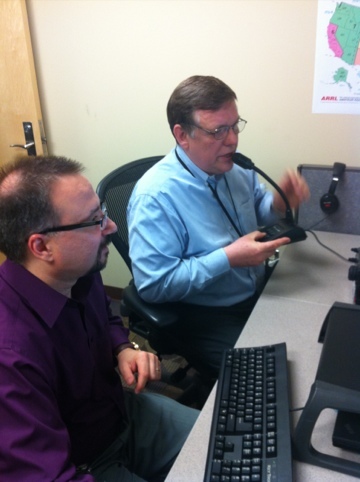 Many paths and modes will be available to contact the stage including HF, VHF, UHF, DSTAR, Echolink and IRLP. This is not a contest, but a fun opportunity for amateur operators to talk directly to the stage on the equipment seen on “Last Man Standing” each week. To facilitate contacts the event will be streamed live via the internet and operators will BLOG in real-time on Twitter and the PAPA System webpage. A special, limited edition QSL card will be issued to all confirmed contacts. Volunteer for the 2018 Angel Ride! After 15 years of an enormously successful charity bike ride, this year will be AngelRide’s Grand Finale! 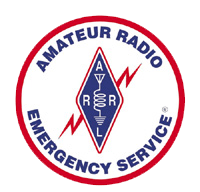 This will be the 11th year that the Connecticut Amateur Radio Emergency Service (CT ARES) has provided communications to support the riders. The event format will be different from previous years. It will be a one day ride on Saturday, 26 May 2018, and take place within CT ARES Region 4. The ride will originate at the Hole in the Wall Gang Camp in Ashford and end in Mystic at the YMCA. Riders can get there by doing either a 50 or 75 mile route. As an amateur radio operator who has previously supported this event or shown interest, I am inviting you to join us for the Grand Finale! We will be staffing various checkpoints along the two routes as well as the three rest stops. To participate you will need either a vehicle with a mobile radio or a GoBox based on a mobile radio. 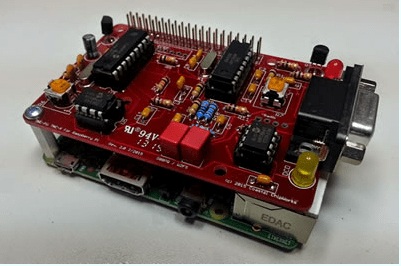 Portable/handheld analog radios will not do the job. Having DMR capability on the CT-ARES DMR Network would be a huge plus. Some loaner DMR equipment is available. If you are interested and available to help, please reply to me at N1CLV@mac.com as soon as possible. You can find out more info about the event at the angelride.org website. If you are going to participate, you will need to register as an ARES operator using the Volunteer tab. 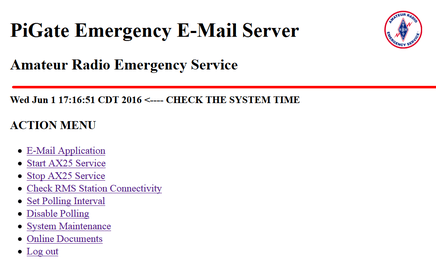 If you are a member of a ham radio club that has an email reflector, please share this with your members – thanx! If you have any questions, please ask away! Never stop climbing!! Communications is the link between problems and solutions. Part of our charter is to prepare to provide emergency communications for the company and community. Although not expressly required WARC officers strongly urge all members to follow the Connecticut ARES training roadmap. All amateur operators volunteering under ARES for events in the community are requested to complete the training program and provide proof in order to be credentialed for activation. 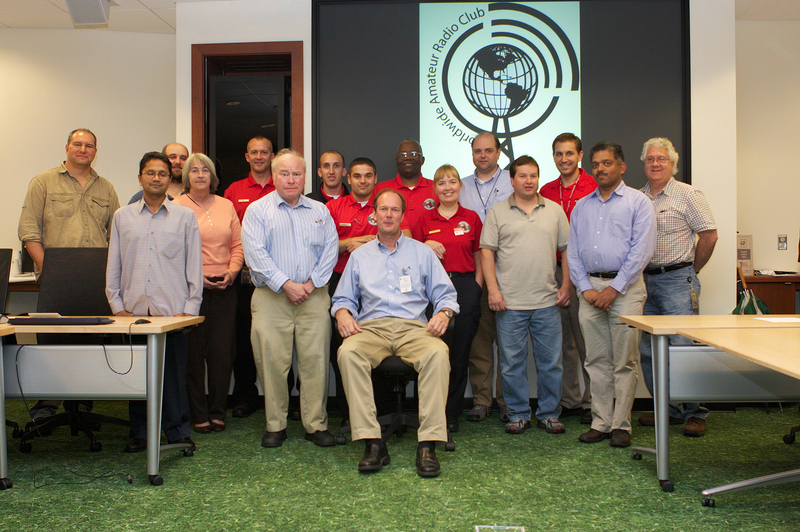 ARES is striving to conform to FEMA’s Incident Command System requirements. For more information on ARES training in Connecticut please visit the CT ARES web site and click on the ‘Training’ tab. You may also want to check out the ‘CERT Training’ tab for a more general offering of emergency training in your community. 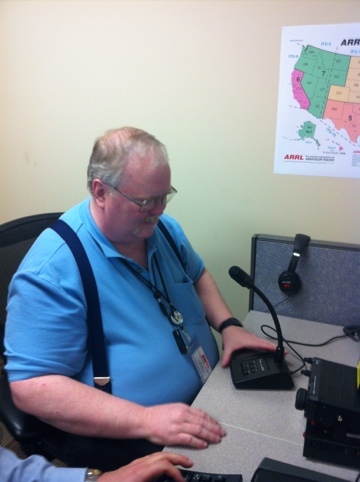 Recently, the FCC, under direction from Congress, reported on the uses of Amateur radio in emergency situations. You can read it here. One of the objectives on our club is to grow the ranks of new ham operators. Since many of our members were not yet licensed the club decided to hold its first class for those looking to get on the air. Club vice-president George Parson (W1GHP) offered to instruct the class of fourteen students over the course of many weeks. Jay Ballard (W1JHB) and Jonathan Glastris (KB1WSD) were on hand to help demonstrate the real aspects of the curriculum. Meanwhile, other members were planning to execute the test session as VE’s. 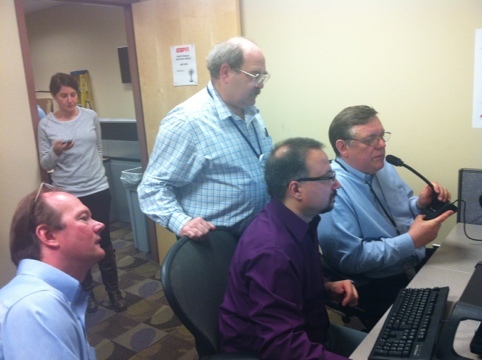 Rod Lane (N1FNE), Mike Nagorski (N1JJX), Ted Szypulski (K2GAV), and Don Skinner (N1HWR) officiated the VE session on June 12 and scored each participant’s test per ARRL rules. The result? All fourteen students passed their tests and are now licensed radio operators! Congratulations to all our new licensees. Next, George will consider holding some classes for upgrading existing licensees. Since this was our first VE session there were some things the VE’s took away to make our next test session run more smoothly. We hope to be able to offer test sessions for operators outside of the club on a periodic basis and give back to the community at large.